Found one file extension association related to WinCon (Quarc) and 1 file format developed specifically for use with WinCon (Quarc). 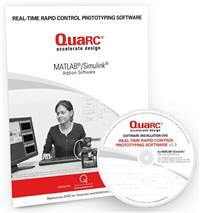 WinCon (Quarc) is an ideal rapid prototyping and hardware-in-the-loop simulation workhorse for control system and signal processing algorithms. A real-time Windows application that runs Simulink models in real-time on a PC, WinCon allows for quick and seamless design iterations without the need to write code by hand. Changes are as easy as modifying your Simulink diagram. With Wincon you can count on an easy-to-use, integrated environment that lets you implement your designs rapidly, without lengthy coding and debugging. If you need more information please contact the developers of WinCon (Quarc) (Quanser Consulting Inc.), or check out their product website.